My story begins with a letter from Australia in 1980. It was from a lady (Mrs. Mathieson) enquiring about her great grandfather, Thomas the son of Francis Beckham and his wife Mary Ann (née Kaley). Thomas, she said, had gone to Australia as a lad with his parents. Another couple, Henry Beckham and his wife Mary Ann (née Sheldrake) were in Australia at the same time and she knew that they were married at Mattishall Burgh round about 1830. The two men could have been brothers, she thought. Having replied that there was a considerable amount of information available here, I set about drawing it together with a view to transmitting it to Australia as soon as the lady in question gave the go ahead. However, no further communication came and so the matter lay dormant until 1983. Through a local researcher, Tom Beckham of London then came into the picture. His family left Loddon to go south in 1860. In addition to tracing his own branch, he was also collecting anything and everything about the Beckhams worldwide! He was in touch with a member of the family living in New Zealand (Colin Beckham) who was a descendant of the Australian connection and thereby related to the Mattishall Burgh Beckhams. Here was an opportunity to use the information drawn up in 1980 and in fact, enlarge upon it. My correspondence with Tom, although spasmodic, continues to this day. At various times he has supplied me with genealogical charts, family trees, photographs and other data from his own research and from contacts 'down under'. 1985 brought another letter from Australia written by a great granddaughter of Elizabeth who was identified as the daughter of Henry Beckham (Sylvia Rowe). We were told that Elizabeth Beckham had married a man named John Gwin and they had a family of thirteen children and lived in Geelong, Victoria. A letter received by Tom in 1986 from Yvonne Dunstan provided the answer to questions which had come to mind - why and how did the Beckhams get to Australia from Mattishall Burgh? The lady writing the letter (Yvonne) said that her husband was a descendant of Daniel Beckham, the ratcatcher of Mattishall, Norfolk, England. She went on to tell the story of Francis the son of the said Daniel who was 'exiled' to Australia. Here was part of the answer to the mystery. When time permitted I intended searching for information regarding the arrest and trial. However, another year was to elapse and other developments occur before this could be done. In 1987 within two months of each other enquiries about the Beckham family were received from America and from Gloucestershire. This was the first intimation of a connection in the United States. My correspondent there (Verland Beckham) had no knowledge of his relatives in Australia and vice versa. The Gloucester letter was from a sixth-former (Mary Powell) who was in the process of writing an 'A' level project on her ancestor Francis Beckham. Her mother had come to England from Australia in the 1960s, married and settled here. They were aware of the facts set out in the 1986 letter but were anxious to find out the facts of the story from this end. This spurred me into action and prompted a visit to Norwich to search the old newspapers. There was no date to go on but the years 1848 and 1849 seemed to be significant. In this endeavour I was ably assisted by my husband Eric but this initial search drew a blank. Replying to the sixth-former (Mary), I told her of our efforts and disappointment in not finding anything, and back came a letter saying that Francis Beckham travelled on HMS "Sir George Seymour" which sailed for Australia in 1844. His name appeared on the Shipping List together with that of his brother Henry. No wonder we failed to find the story! Francis Beckham, aged 34, and Henry Beckham, aged 36, charged with stealing one sheep the property of James Mack, farmer, of North Tuddenham on 4th April last. Mr Evans for the prosecutor and Mr Palmer for the defence. 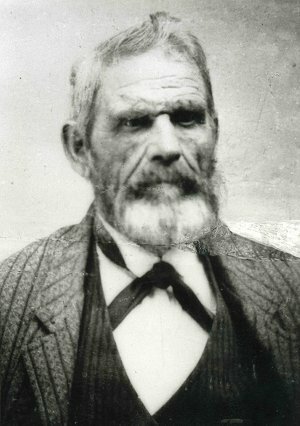 Benjamin Engledow, shepherd to James Mack, deposed in April last he found the skin and entrails of a sheep in a field. All the sheep were safe the previous evening. Benjamin Engledow knew the field in which the skin was found on the same side as the living sheep, by the hurdles he observed footmarks which led to the prisoners' house in the adjoining parish. Mark Yorke, police officer, deposed he went to the prosecutor's field and thence to the cottage of the prisoner Francis Beckham; there he found a basket which contained two shoulders of mutton; from thence he went to the cottage occupied by the other prisoner, and in a dung heap there they found a sack in which was the whole carcase of a sheep except for the shoulders. Edward Jones, police officer, deposed he searched the cottage and found the mutton; it was quite warm. Wace Philo deposed he compared the mutton found in the possession of the prisoners with the skin found in the field of the prosecutor. They certainly belonged to one sheep. Mr Palmer addressed the jury for the prisoners and contended that there was not sufficient evidence of the mutton ever being in their possession; and called several witnesses to character. 'THE NORFOLK CHRONICLE & NORWICH GAZETTE : July 1st 1843. SHEEP STEALING - Francis Beckham, aged 34, and Henry Beckham, aged 32, were charged with stealing, on the 4th April, one lamb, the property of James Mack, the elder, of North Tuddenham, farmer - Mr Palmer defended the prisoners, and Mr Evans prosecuted. He called Benjamin Engledow, who deposed, that he was prosecutor's shepherd last April; on the 4th, early in the morning, he went into the field, and found the skin and entrails of a sheep, the carcase having been taken away. - James Mack deposed, that he knew the field in which the sheep were; hurdles were set across it, and the sheep were kept within the hurdles. Benjamin Mack, deposed that he saw the skin, head and entrails on the same side of the hurdles as the other sheep. He had seen footsteps from the field in a direction towards the prisoner’s house. Mark York deposed, that he went with several persons to a field, on April 5th and from thence to the cottage of Francis Beckham, and in a dung heap found a frail basket, with two shoulders of mutton. The prisoner said some enemy had done it. The witness saw the cottage of the other prisoner searched where some pieces of mutton were found. There were other cottages searched before the prisoners. Edward Jones deposed, that he went with York to search the cottages. They found a sack in Henry Beckham's garden with the carcase of a sheep in it, excepting the two shoulders; the mutton was not cold. Wase Philo, a butcher, deposed that he compared some mutton produced by P.C. Jones with the skin of Mr Mack's sheep and was sure the mutton belonged to the skin. Unfortunately the reporters did not say who the character witnesses were so we cannot tell what standing they had in local society. One point which has been brought out since is that it seems unlikely the brothers would have stayed to skin the sheep on the spot at the risk of being caught red-handed! But it seems, if the carcase was 'planted' as the brothers testified, the perpetrator unknowingly did them a favour. When Francis Beckham was married in 1830 he could not write his name but on arrival in Australia it was said that he could read and write. He was also taught the trade of rug and mat making whilst in Pentonville prison. At this time transportation was coming to an end and these prisoners were no longer referred to as convicts, but exiles. They were granted a conditional pardon making them free men as long as they did not return to England during the term of their sentence. The exiles were received in Australia with mixed feelings but an acute shortage of labour enabled them to procure work almost immediately. Francis was engaged at a wage of £17 a year plus rations, for one year. Ironically, probably looking after sheep! By 1849 he had done well enough for himself to warrant having his wife and family join him from England. It appears that he probably added to his fortunes by gold-prospecting and in 1853 he was in a position to purchase over 149 acres of land. Three more children were born to Francis and Mary Ann in their new country. They never returned to England. He lived to a ripe old age, died a respected member of society, and left a Will in which he bequeathed money to all his surviving children. In England, Francis was an agricultural labourer renting a cottage, garden and pasture of less than half an acre. The prospects for a land worker were grim. It is probable that his situation would have remained much the same throughout his life, and at the end of it a pauper's grave awaited him. Earlier in the 19th century a man could be hanged for sheep stealing but changes had come about resulting in the punishment being 'reduced' to transportation. How fortunate that turned out to be for Francis although I am sure he and his family did not think so at the time. It is understood that Henry Beckham was employed at the same time and on the same terms as his brother Francis. Henry also bought land and prospered. Their wives and families travelled together on the "Panama" from London on assisted passages to join their menfolk. They arrived in Port Phillip on 25th August 1849. Once Francis and Henry were well settled, it seems their brother Robert emigrated to Australia. This was in 1854 and later he became a land holder too. He was paying rates on 35 acres of land in 1873. At that time Francis paid rates on 146 acres, his son Thomas on 50 acres; Henry 129 acres, his son James 90 acres. But what of their parents and their beginnings? Daniel Beckham was baptised at Mattishall Burgh in 1782 the son of James Beckham and his wife Elizabeth (née Sutton). James was a weaver. Daniel married Dinah Webster at East Tuddenham in 1807. She was probably the daughter of Francis Webster and his wife Mary (née Stuart or Steward) baptised Diana in 1784 at Mattishall Burgh. At the end of 1807 they were in Brandon Parva and were still there a year later when their son Francis Webster Beckham was baptised. There is then a gap in the story until the baptism of their son Henry at Welborne in 1811. Another six years were to elapse before Daniel Beckham figured in the Mattishall Burgh Register again. Between 1817 and 1828 another five children were born to Daniel and Dinah. The wedding of the first of their children took place at Mattishall Burgh in 1830 when Francis Beckham married Mary Ann Caley (Kaley). They had six children baptised between 1831 and 1843. In 1833 Henry Beckham was married to Mary Ann Sheldrake and they produced three children. Daniel's third son, Robert also wed a Mary Ann! 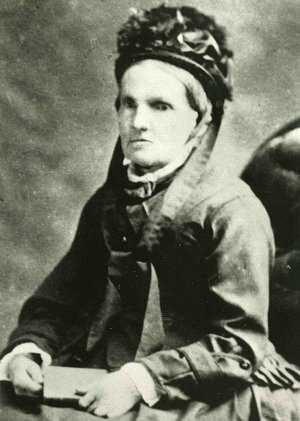 He and Mary Ann Basham tied the knot in 1843 and their offspring increased Daniel's grandchildren to twelve. The youngest son, William, did different as all good Norfolk dumplings should! He chose a bride with the name Margaret Reeder who hailed from Elsing. Their marriage took place in 1850 and they produced six children between 1851 and 1859. In common with the other boys and their families, William and Margaret moved on to pastures new sometime after November 1859. Daniel and Dinah also had three daughters. Mary married William Wilson of Gressenhall in 1842, Susan (Susannah) married John Edwards in 1843, and Sarah married Benjamin Howard in 1846. Only Susan and John remained in the area and raised five of their seven children (two died in infancy). One of their sons was buried at North Tuddenham in 1916. Here I indulge in a little speculation regarding the sheep stealing episode. The two brothers Francis and Henry always maintained their innocence so could there have been any other reason, apart from the dogs, which sparked off a feud? I found it intriguing that the shepherd Benjamin Engledow, who gave evidence against Francis and Henry, was married to Sarah an elder sister of John Edwards and their mother was Anne née Philo, probably aunt to the butcher Wace Philo, who was also a witness for the prosecution. Were Susan's brothers opposed to her friendship with John Edwards? Was there a feud between these Mattishall Burgh families? Or was Benjamin Engledow under pressure from his employer to solve the problem of the Beckhams and their dogs? It is interesting that the marriage of John and Susannah took place in November 1843 after her brothers had been imprisoned. Intriguing too that John and Susan Edwards named their first two sons Henry Francis Edwards and Francis Henry Edwards! The second letter received in 1987 answered the question - what happened to Daniel's youngest son, William? No doubt through lack of work in Norfolk, he was forced to look for employment elsewhere. He found it in Guisborough, Yorkshire where he went to work in the ironstone mines. So another Beckham family was uprooted. According to information via America, William and Margaret had two more children born in Mattishall Burgh in the 1860s before moving to Yorkshire, probably in 1867. Then they had one child born in Guisborough, two in Marske, and one in New Marske. It was their son Benjamin, born Mattishall Burgh in 1852, who went to America between 1881 and 1885 and settled in Iowa. My correspondent there is a grandson of Benjamin. Most of the descendants, and there are quite a lot of them, seem to have come from the females of the family so do not bear the name Beckham. Both Benjamin's grandson (Verland) and the sixth former (Mary) visited Mattishall in 1988, missing meeting each other by about a month. On each occasion I took them on a lightning tour of the area where their ancestors had lived and worked. With the help of the Mattishall Burgh Tithe Map and Schedule c1844, we were able to establish that Francis and Henry dwelt at West End on opposite sides of the road, and their father Daniel lived in Mill Road. From an earlier map and survey c1826 it is known that Daniel Beckham occupied a cottage and garden, belonging to the Bishop of Ely, which was in the parish of Mattishall but almost on the Mattishall Burgh boundary. This was situated near the Old Rectory at Stoney End but does not now exist. My young correspondent from Gloucester sent me a copy of her 'A' level project - "An Analysis of Transportation in the Nineteenth Century With a Case Study of Francis Beckham" - when it was finished. Needless to say, I was delighted with this special gift. Earlier in the 19th century there had been Beckhams living at Ballards Bridge Farm which is in close proximity to West End but so far no positive connection with Daniel has been found. This was Fletcher Beckham and his wife Sarah (née Stebbing) who had four children baptised at Mattishall Burgh in 1813, all born between 1803 and 1812. It is believed the family moved to Norwich later. Prior to that time, John and Sarah Beckham had held land in Mattishall and Mattishall Burgh copyhold of the Manor of Mattishall-Tuddenham but there is no evidence to suggest they actually lived here. One of the previous copyholders had been Margaret Fletcher which suggests a relationship between John and Sarah and Fletcher Beckham. In 1989 I received a letter from this new contact (Rex Norman) together with copies of various documents, and a sketch map showing the land holdings in Victoria of Francis, Henry and Robert Beckham. Also included was a copy of a chapter headed 'The Beckham Story' from a book entitled "The Norman Pioneers". Francis Beckham's daughter Caroline had married into the Norman family and this was their history. At Christmas 1989 I was thrilled to receive a copy of the book "The Norman Pioneers" together with a photograph of this great grandson of Caroline Beckham, standing beside the tombstone of Francis and Mary Ann. Earlier this year, 1991, I was visited by a granddaughter of Francis Peter Beckham and his wife Ruby Mabel, who lives in Aukland, New Zealand (Joan Smith). She is cousin to Tom Beckham's correspondent of 1983 (Colin Beckham) but knows little about her ancestors in Australia and England. The present day Beckham family of Mattishall has no connection with the 19th century people of that name. I have yet to discover if there are any descendants of Daniel's daughters still living in this part of Norfolk.